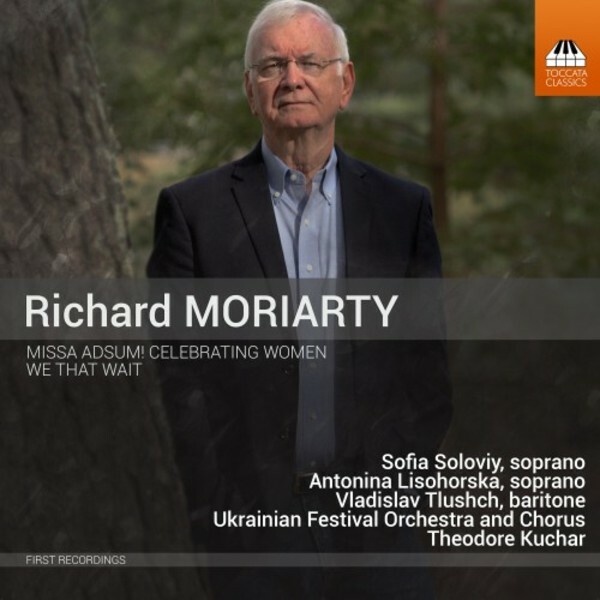 The American composer Richard Moriarty (born in Boston in 1946) spent his professional life as a pathologist, taking up composition upon his retirement and studying with Adolphus Hailstork and Richard Danielpour. His deeply felt orchestral song-cycle We That Wait, using poems from the American Civil War written by women, and the expansive, exuberant Missa Adsum! Celebrating Women are both grand statements in a proud American tradition of Neo-Romanticism � accessible, direct and sincere. Sofia Soloviy, born in Lviv, has performed in operas in Athens, Ljubljana, Luxembourg, Madrid, Naples, Nice, Rome, Venice and Vienna, and has also participated in numerous opera festivals. Theodore Kuchar is the most frequently recorded conductor of his generation and appears on over 130 albums for the Naxos, Brilliant Classics, Marco Polo, Ondine and Toccata Classics labels. He recently accepted the positions as Principal Conductor of the Ukrainian Festival Orchestra and Principal Guest Conductor of the Ukrainian National Opera and Ballet. Recent engagements include the major orchestras and opera houses of Ankara, Antalya, Beijing, Buenos Aires (the Teatro Col�n), Helsingborg, Helsinki, Istanbul, Kharkiv, Kyiv and Prague, among others. The recently founded Ukrainian Festival Orchestra, based in Lviv, in western Ukraine, was already heard in a December 2018 release from Toccata Classics release: Volume Two of Music for My Love (TOCC0370), featuring new works for string orchestra written in memory of Yodit Tekle, the partner of Martin Anderson, founder of Toccata Classics.